Natalie's first solo album, 'My Journey' was released in the summer 2015. With a pleasing easy jazz/r&b style Natalie hits the ball out of the park with eleven great songs. Master engineer, Tony Shepperd, legendary bassist Reggie Hamilton, jazz flutist extraordinaire Kattise and arranger Raul Ferrando and a host of top Los Angeles session players lend their support to bring this album to life. Born the eldest of six sisters, Natalie Cadét (pronounced Kŭh-dāy) began her musical journey singing in church at the age of four. In 1990, she and her five sisters formed the young Christian singing group, Cadét Sisters. Performing in churches, concert halls, Christian radio and TV networks around the US, they were best known for their 4 to 5-part tight harmony. As principal songwriter, arranger and pianist for the group, Natalie was unknowingly preparing herself for greater things to come. 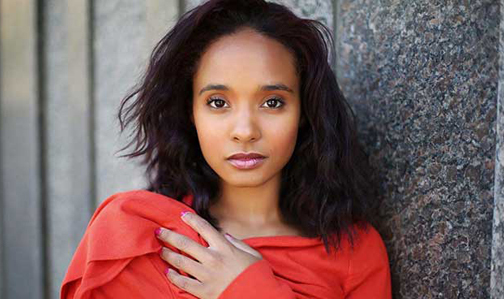 Armed with a Bachelor’s degree in Vocal Performance and Pedagogy from Oakwood University and a Master’s degree in Contemporary Improvisation from New England Conservatory, Natalie transformed her angelic vocal artistry and songwriting skills into ingenious jazz-pop compositions sprinkled with a little R&B flavor. Although a natural soprano, Natalie’s vocal range spans three octaves. This amazing vocal dexterity is displayed in the 5 to 6-part background vocals she lays down. 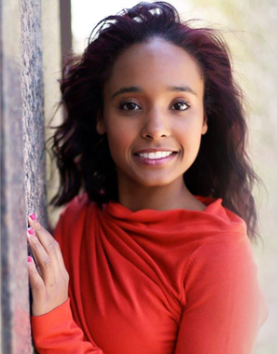 In addition to Natalie’s innovative musical talent, this captivating beauty is committed to healthy living and fitness. Standing 5 foot 1 inches tall and perfectly sculpted, Natalie is a certified personal trainer and aspiring fitness print model in her spare time. Natalie has graced the stages of Blue Whale, Baked Potato and Vibrato Jazz Clubs in southern California. She was a special guest artist at the 1st Annual Rhodes Fest 2015 held at the Oxnard College Performing Arts Center in Oxnard, CA. Natalie utilizes her God-given talent; singing and playing at local So. Cal churches. 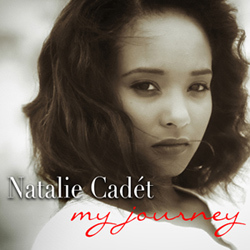 Natalie released her debut album entitled My Journey in Fall 2015. It landed in the top 20 jazz charts on iTunes. This project takes the listener on an introspective mind travel of emotions ultimately arriving at the final destination of inner peace and acceptance. Her multi-layered vocal arrangements are mind-boggling, to say the least. From shades of Janet Jackson’s “Velvet Rope” on “What is Beauty” to the clever jazz-standard throwback, “Take Five,” featuring flute virtuoso, Katisse Buckingham, this project proves to be unprecedented. The album also includes the fresh orchestral arrangements of Raul Ferrando, collabs with preeminent bass player, Reggie Hamilton, as well as the incomparable vocal bass, Alvin Cheaof Take 6. My Journey is available on iTunes, Amazon and breathofliferecords.com. Currently, Natalie is working on her sophomore album and recently became a faculty member of the Musicians Institute in Hollywood, CA specializing in vocals. She also finds time to write orchestral, blues and vocal arrangements for other recording artists such as Blinddog Smokin’ and Raul Ferrando.